Stress typically gets a bad rap as an undesirable interloper that makes you anxious and unhappy. However, stress can be a useful tool that helps you perform at your peak. Way back in 1908, researchers Yerkes and Dodson found that in the right dose, stress facilitates concentration and drives motivation to complete a task. They depicted the stress-performance relationship as an inverted U, with stress represented on the x axis and performance on the y axis. 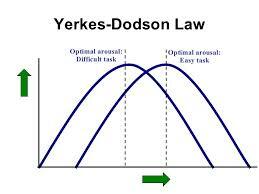 In the Yerkes-Dodson model, as stress, or arousal, increases to a certain point, performance also increases in a curvilinear manner. When stress is low, performance is mediocre, and outcomes are less than optimal. At the peak of the curve, performance is at its best, and outcomes exhibit the best work of the performer. However, just beyond the peak, burnout lurks to undermine productivity and sabotage performance. The sweet spot on the Yerkes-Dodson model is the place where a state of flow can be achieved. Conceived by Mihaly Csikszentmihalyi in 1990, flow is a state of performance where the performer is pleasurably absorbed in an activity to the point of being oblivious to time or distractions. During flow, athletes and musicians perform at their very best. 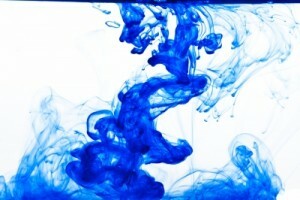 You have probably experienced a flow state while engaged in a creative or challenging task. Understanding the relationship between stress and performance can help you produce your very best work. Knowing when to rest and take a break from stress is an important part of managing stress so that it does not exceed its most beneficial levels. In fitness, stress can be an important motivator to help you reach your goals. However, too much stress can lead to overtraining syndrome, which in turn leads to poor health and negative returns for your hard work. Learning more about how stress and other factors affect health will help you become a better fitness practitioner. W.I.T.S. offers solutions to the problems posed by your clients. Lifestyle Fitness Coaching and Certified Personal Trainer are two online courses that will equip you to meet your clients’ needs head-on. Csikszentmihalyi, Mihaly (1990). Flow: the Psychology of Optimal Experience (1st ed). New York: Harper & Row. Yerkes, RM and Dodson, JD (1908). The relation of strength of stimulus to rapidity of habit-formation. Journal of Comparative Neurology and Psychology, 18, 459-482. Images courtesy of slideshare.net and freedigitalphotos.net.